This may become the most personal and gooey-sweet blog you have ever read, so if you want to quit reading right now, leave with my blessings. You have been warned. THE JOHNNY CASH MUSEUM. As I walked through the door I walked through decades of memories I had not faced in years. Sights and sounds of old friends and old events that suddenly came rushing back from another lifetime. There all around me was John; June; Luther Perkins; Marshall Grant; Carl Perkins; Mother Maybelle and Helen and Anita Carter. All these wonderful people who were so much a part of my young life from 1964 to 1973. We all practically lived together on the road for those 9 years as we traveled around the globe together. Sang together every night. Ate together. Shared our personal lives with one another. Became a family. And here I was walking amid the pictures and remembrances of those days and folks gone by. John “discovered us” as the saying goes in show business. To be more to the point, if there had been no Cash, there would have been no Statlers. I left that place with my heart in my hand – so very full of yesterdays and so very thankful for all the memories it conjured up inside me. 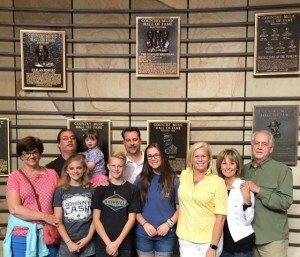 THE COUNTRY MUSIC HALL OF FAME. 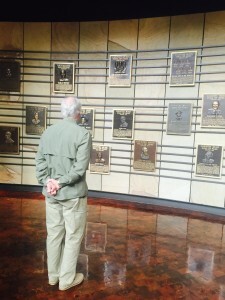 I had only been there once since our induction ceremony June 29, 2008. That visit had been on business but this one was leisure and with all my family by my side. 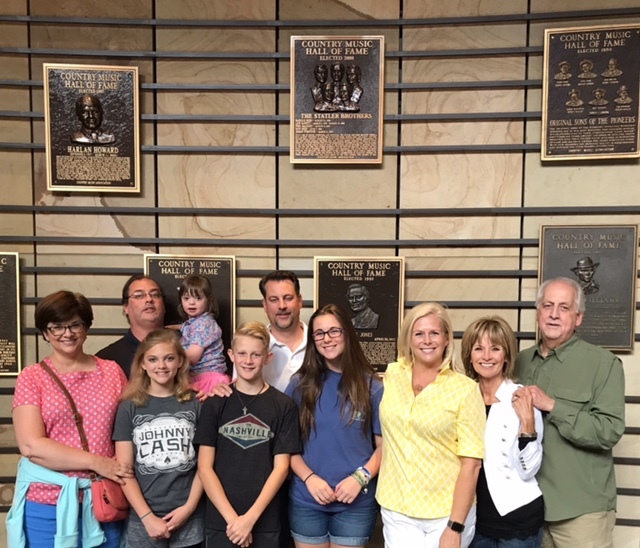 To stand there in front of the Statler Brothers plaque hanging on the wall amongst so many of my boyhood heroes and to have all my grandchildren standing beside me was nearly more than this old heart can take. I deeply felt emotions I had never known before and I left there with something inside me that had never been revealed to me from any other experience in my life. And I wouldn’t know exactly what it was until later that night, because the day wasn’t over yet. Mother Church of Country Music. 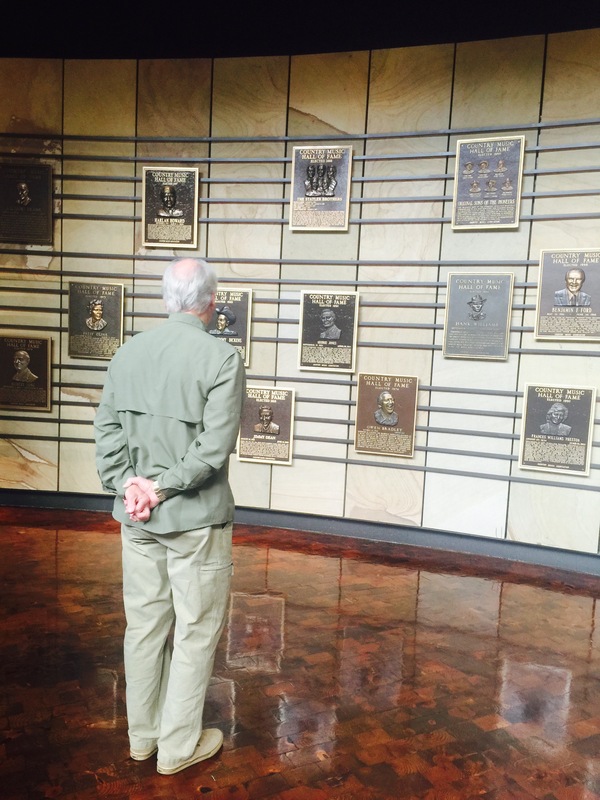 Standing where Hank Williams and Roy Acuff and Tex Ritter had stood. And, yes, we had stood there many times, also. But this was their night and they captured and entertained the fans like only they can because they were fantastic and I was swelling with pride for them while being drenched in retrospect and reverence of the old building itself. This very stage is where we first performed on the Grand Ole Opry; where we filmed the Johnny Cash TV Show on ABC every week back in the 60s and 70s. I practically lived in the place 18 hours a day for years. So by this time I could barely see my hand in front of me through the mist in my eyes, when Wil and Langdon were joined on stage by my brother in song and spirit, Jimmy Fortune, and together they sang one of our hits, “Guilty”. And then I knew. As I was standing applauding them, I knew what this whole day was trying to say to me. 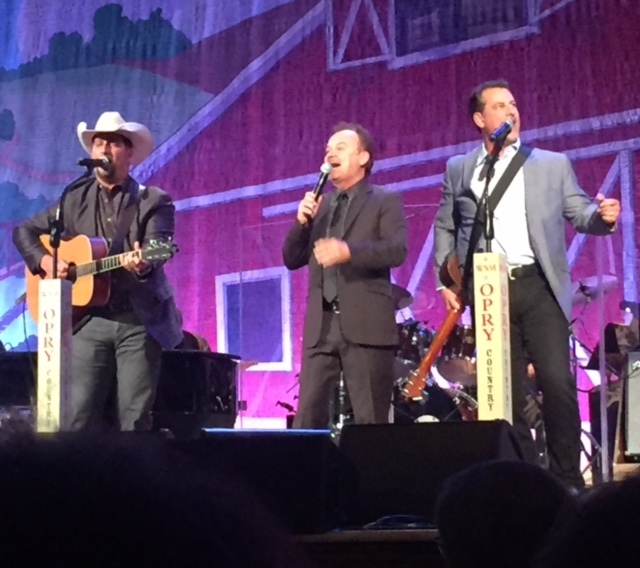 All of those early years of Cash memories that had flooded me this very morning of when I was 18-27 years old; the Hall of Fame tour this afternoon visiting with my musical heroes of the past and all the sweet recollections of the Statlers’ career; and now sitting here seeing Wil and Lang on stage with my old partner singing a song Harold and I wrote 35 years ago; and doing all this with Debbie and my grandchildren and my sons and my daughters-in-law with me – those I love so dearly. The heaviness of the moment and the entire day dawned on me. My professional life and my personal life had finally come together in one glorious day. In one sweet moment in time. All of those wonderful yesterdays and all my beloved family were in me at the same time and who I was at this very moment is who I truly am. I didn’t tell Debbie that night but I was almost afraid to go to sleep not knowing what it all meant. But I knew that no matter which side I woke up on, I have been blessed of life, love and spirit beyond all expectation. I am one happy, thankful and fulfilled man. If you’re still reading, see? You were warned. God bless you. We’ll talk again.